Kwara Governor eyes seat in the Senate. After 8 years on the throne, State governors in Nigeria are making it a conscious habit to become legislators the next morning. The Kwara state governor, Abdulfatah Ahmed does not plan to be left out. The declaration of his intention to run for the senatorial seat of Kwara south ended months of speculations about his ambition. The governor, who had on two occasions defected to new parties with his godfather, Bukola Saraki made his intention to run for the senatorial election known on his twitter handle, @AbdulfataAhmed. 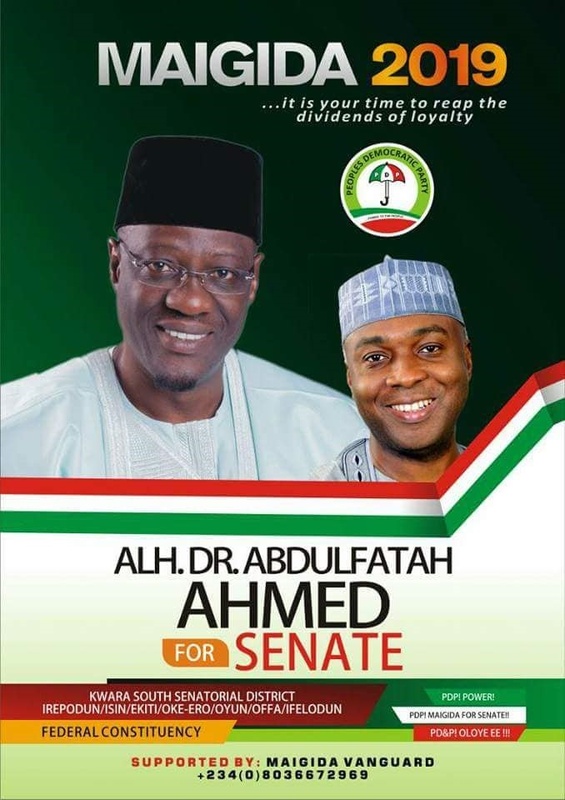 Ahmed, who will be completing his eight years rule as governor of Kwara state in May, 2019 will be running for the senatorial election under the banner of his new party, the Peoples Democratic Party( PDP). He has obtained his nomination forms. As a loyal godson, Ahmed joined Saraki to defect to the All Progressives Congress (APC) in 2014 and about few weeks ago rejoined the PDP which brought him to power in 2011. Ahmed said in his twitter handle : "In response to calls by my people and in keeping with my strong desire to upscale the excellent work we have done in all three zones of the state, through effective, purposeful representation, I have picked up the PDP nomination form for Kwara South Senatorial District. "..